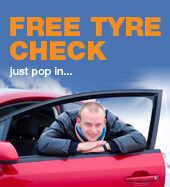 Main dealer car servicing in Winnersh, Reading at a fraction of the cost! The car servicing staff at our family-owned garage in Winnersh are all ATA qualified keeping up to date with the demands and complex nature of the modern vehicle. We service all makes of vehicles with honesty and integrity only replacing parts that are required and most importantly using only engine oil that is suitable for a specific vehicle. We use Autodata for car servicing schedule information ensuring that all the same items checked by the main dealer are also checked by us. We understand how important it is that customers who bring their vehicle to BGS Car Servicing in Winnersh have an understanding of the work to be carried out on their vehicle. For this purpose, we often email a photograph of the parts required and an explanation of the work. The faulty part can be inspected if requested. We offer a free local collection and delivery service from your work/home address and a courtesy car upon request. 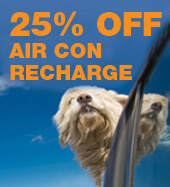 Your vehicle will also be cleaned inside and out. 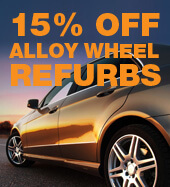 Call us today on 01189 787 525 or click here to make a service booking. a) Call us and one of our experienced staff will advise you. How are you qualified to repair my car? All of our staff are ATA (Automotive Technician Accreditation) qualified and their skills are routinely assessed, we are also an AA accredited repair centre. How quickly can I get my car repaired? If you’ve broken down we will have a technician look at your vehicle immediately. It’s best if we can book MOT and Services a few days in advance, but we will always endeavour to help you as quickly as we can. Yes, free of charge, provided that the vehicle is road worthy. Recovery is available at a discounted rate. Am I entitled to a courtesy vehicle? 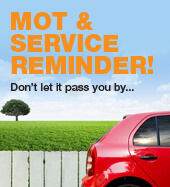 Courtesy cars are provided on request for MOT and servicing subject to availablity. All the usual forms of payment are accepted, Credit and Debit cards, cash or online payments. All workmanship carries a 12 month guarantee. Parts used are subject to Manufacturers guarantee. We use only genuine parts unless specifically requested to do otherwise.